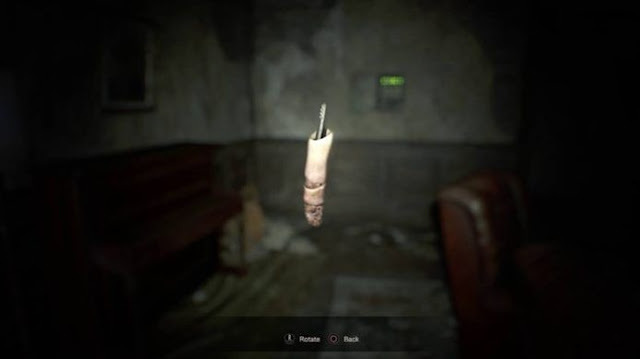 Since the release of the demo, fans have discovered countless secrets and hidden items that trigger new events, but one of them remains unknown - the finger dummy. So far no one has discovered what it's for. On examining it, some users have seen that it is made of flammable material, but failed to take the idea forward. There is a piece of paper in the room you wake up, among the first items that the player can find in the demo. 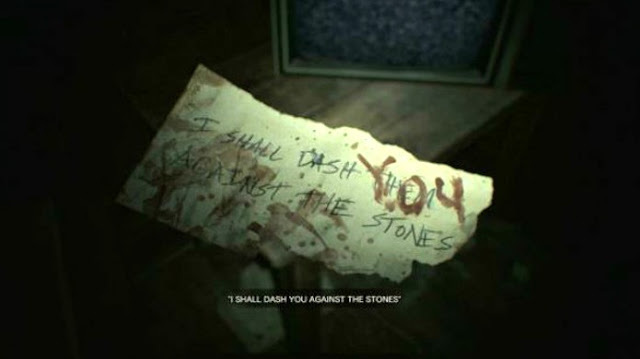 It contains a phrase that read: "I shall dash them against the stones." However, after watching the VHS tape, the same paper appears with some alteration: "I shall dash YOU against the stones." 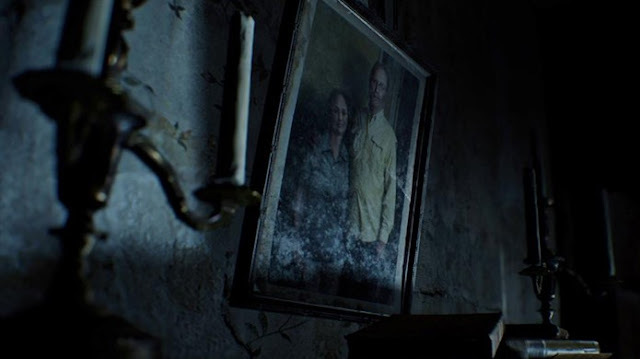 Players might not have noticed, but as the demo PT Silent Hills, photograph of the demo of Resident Evil 7 changes as you play. Frames with people suffer deformations or drastic changes, while objects may change or disappear from where they were before. There's a picture next to a phone with a helicopter that has the logo of the Umbrella Corporation, big villain of the Resident Evil series. He appears in one of the alternative end of the demo. On the back of the photo you can read details about the company we have investigated the inhabitants of the house. 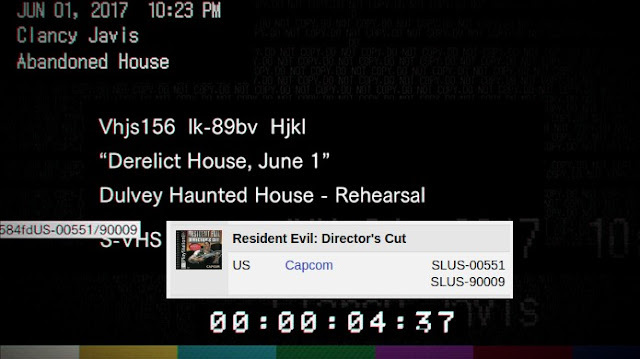 This is a curiosity to longtime fans of the Resident Evil series, Hidden Serial Number that appears before the VHS tape begins to be displayed. 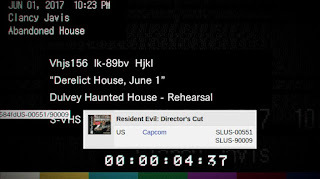 On the left side there is a sequence of apparently random numbers, but players have found that it is the serial number of Resident Evil: Director's Cut of the original PlayStation One. 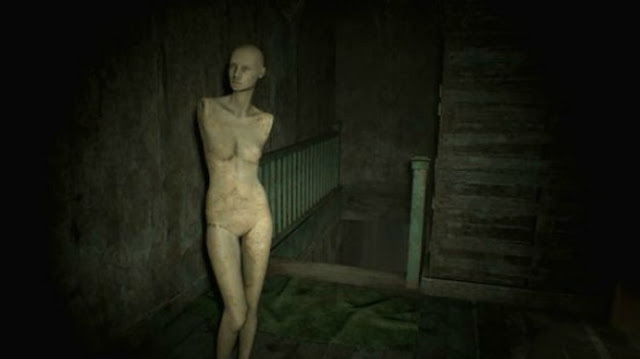 One of the horror genre cliches, the demo of Resident Evil 7 has ghoulish mannequins on the second floor of the house. However, not all have noticed that the mannequins is moving when you are not looking at it, as a "Weeping Angel" or “Lonely Assassins” of the TV series Doctor Who. 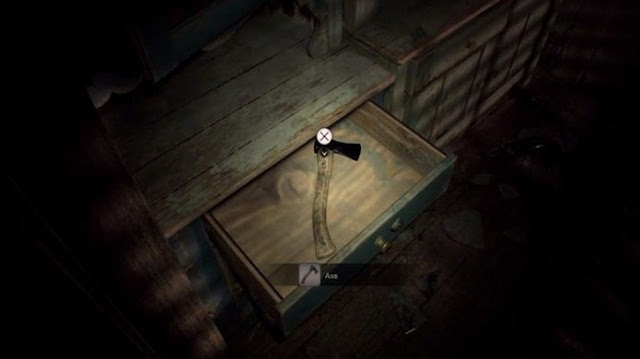 Another item that increases the mysteries list is an ax that the player can equip. However, there is no harm that it is really able to do in the demo. While no mysterious was found for the ax, it can be used at least to dismantle the scary mannequin on the second floor. One of the most interesting moments of the demo is to find a VHS tape and can play the events that happen in it. But on the tape, there are many times when a ghost appears at a glance - the figure of a woman who disappears after one second. Apparently it is the same creature that attacks the player at the end of the demo.